Hollywood supports 2.6 million jobs, dishes out $177 billion in wages and directly employs more people across the country than the commodities and energy industries, said the Motion Picture Association of America (MPAA) in a report published Monday. 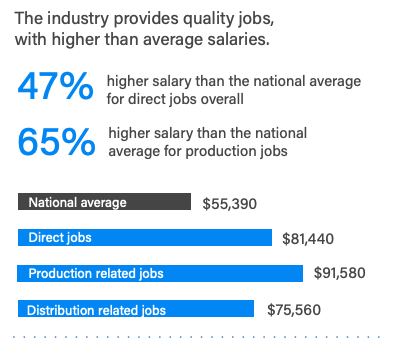 Jobs directly related to producing, marketing, and manufacturing motion pictures, television shows, and video content, employs more people in 34 states than industrial jobs in mining, oil & natural gas extraction, crop production, utility system construction, and rental & leasing services. Bloomberg says MPAA's report shows how broadly the U.S. entertainment industry has expanded beyond California. 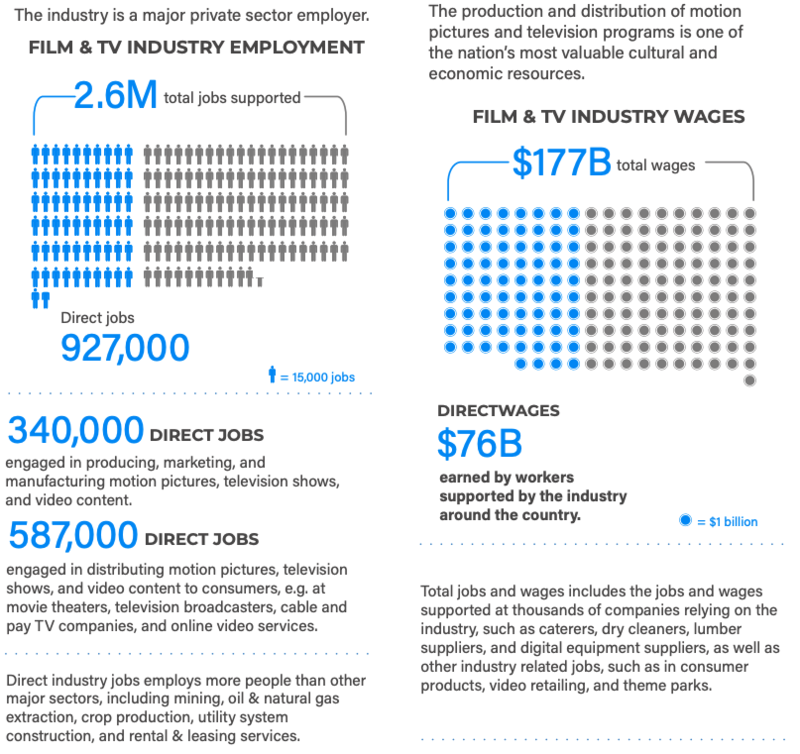 Direct wages in television and film account for $76 billion, with salaries that are 47% higher than the national average. The industry also supports 93,000 small business in total, located in every state in the country. 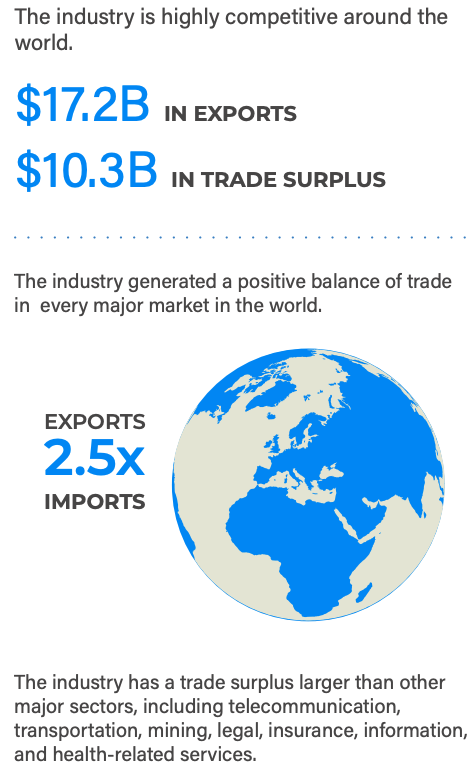 The industry has a trade surplus of $10.3 billion, 4% of the country’s total surplus in services, the report showed. The industry exports more than telecommunications, transportation, mining, legal insurance, information, and health-related services, the MPAA said. The use of taxpayer funds has been widely used throughout California to support the industry. Some states have removed or recently revised these tax incentive programs. Meanwhile, California re-upped its subsidies for film and television to draw back film production to the state. Besides directly employing 927,000 people, the industry has made $44 billion in payments to local businesses, supporting an additional 2.6 million indirect jobs, a move that has Hollywood making jobs great again.